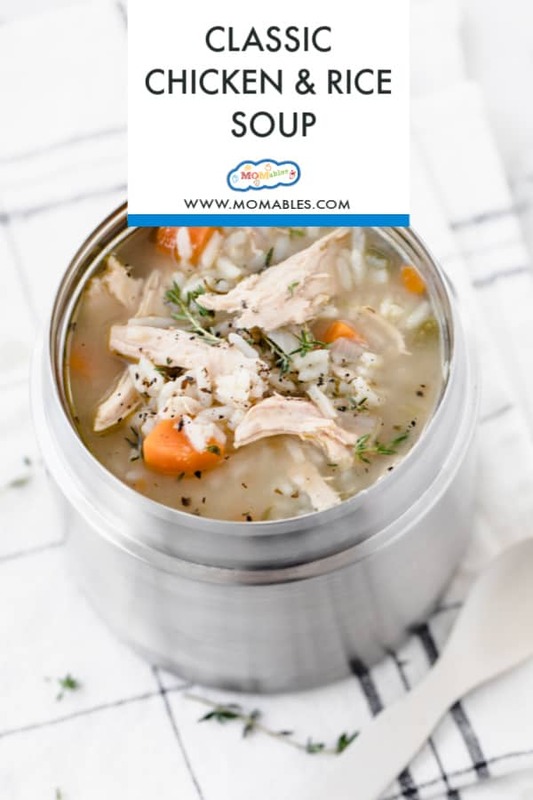 This easy Chicken & Rice Soup recipe is one of those recipes you want to have around when you need a delicious thermos lunch idea or a warm bowl of comfort for dinner. Hot soup, whether enjoyed on a cold day or by someone feeling under the weather is something everyone loves and it’s the perfect healthy comfort meal! Need a Thermos container for this soup? Check out our top 5 Thermos containers here. Aside from being made in one pot and ready to eat in just 30 minutes, the key to speeding up this simple and flavorful pot of soup is a pre-made rotisserie chicken. 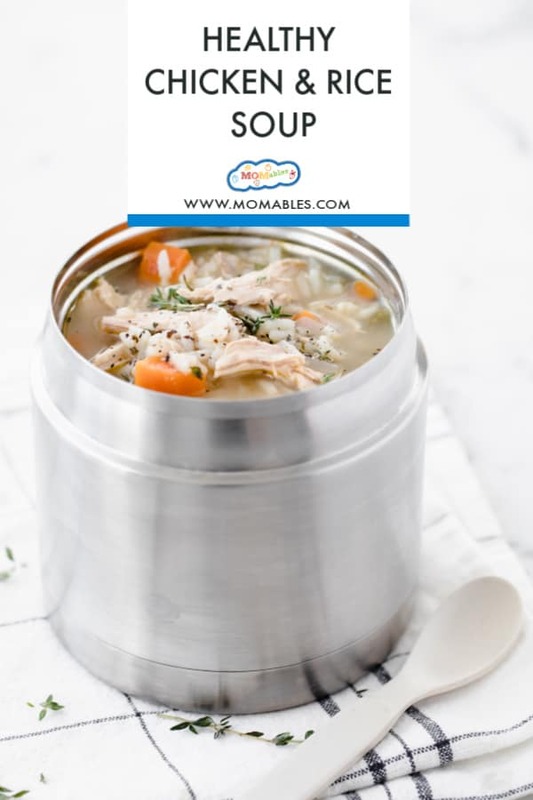 I love using a pre-cooked rotisserie chicken to make this soup and many other meals. It’s an inexpensive item that can be yield multiple recipes for the entire week. I’ll use it to toss into soups, make chicken salad, top salads for lunch, or shred it to make tacos and burrito bowls. It’s also a perfect solution for those baked chicken leftovers sitting in your fridge. White meat, dark meat, or both will work great for this recipe. This recipe is versatile and perfect for incorporating more veggies into your family meals by adding green peas, chopped spinach, or broccoli into the pot. If feeding picky eaters is something you struggle with, you might find these tips helpful. 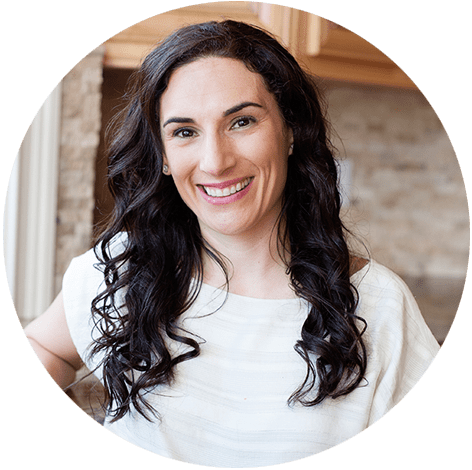 How to teach kids to taste new food, make veggie dishes your kid will WANT TO EAT, and what not to do at mealtimes… it’s all there! One thing I love about soups like this one is that it tastes better the second day. 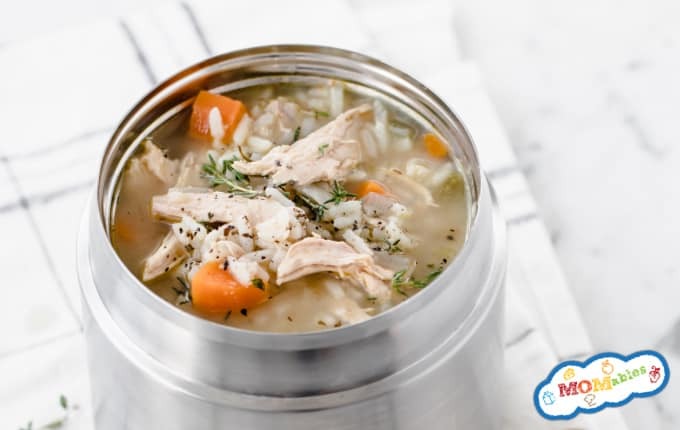 Pack leftovers into a thermos container for a hot lunch for school or the office. Now, before you get to chopping and stirring, here are a few other soup recipes to test out this winter or anytime you want a hot bowl of homemade soup! In a large soup pot, heat oil over medium-high heat. Add the onion, garlic, carrots, celery, thyme, and bay leaf. Cook and stir until the veggies are soft, about 5 minutes. Add the chicken stock and water. Bring to a boil. Add the rice and chicken meat, stir and cook over medium-low heat until the rice is tender about 25 to 30 minutes. If using brown rice, you will need to cook for 45 minutes or until the rice is softened. Add the chicken in the final 30 minutes of cooking.